DraftKings announced their $1.25 Million Fantasy Golf World Championship for 2018! The 1st place champion will receive $250,000! All 200 qualifiers will cash out! The DraftKings Fantasy Golf World Championship is a qualifier event only. Qualifers are available beginning on April 5th and run through August 9th, 2018. Qualifier contest entry fees start at $2! You can win up to a maximum of 6 entries. The online golf world championship begins on August 23rd, 2018 with the Northern Trust tournament. Click here to sign-up at DraftKings! 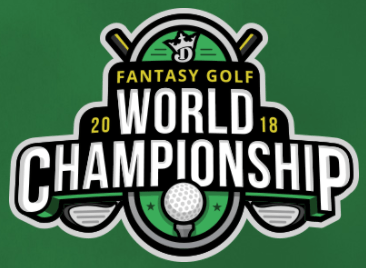 Fantasy golfers, don’t miss out on your chance for your share of this guaranteed $1.25 Million prize pool in this season’s largest daily Fantasy Golf World Championship! 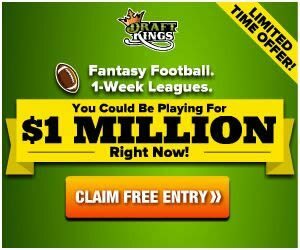 If you would like to learn about DraftKings in more detail, click here to read our review or check out the details for the current DraftKings promos for new players for the maximum benefits possible!